Hoover is a well known name in vacuums for a reason - the company has been building a reliable product for over 100 years. However, there are many Hoovers on the market so picking the right one might seem daunting. For example, you may not be sure if you need all the extra features, like bagless technology or self-propelled motion. So, we have put together a shopping guide to help you look at the features you can find on a Hoover and quickly decide which will work best in your home. Hoover makes several styles of vacuum cleaners. 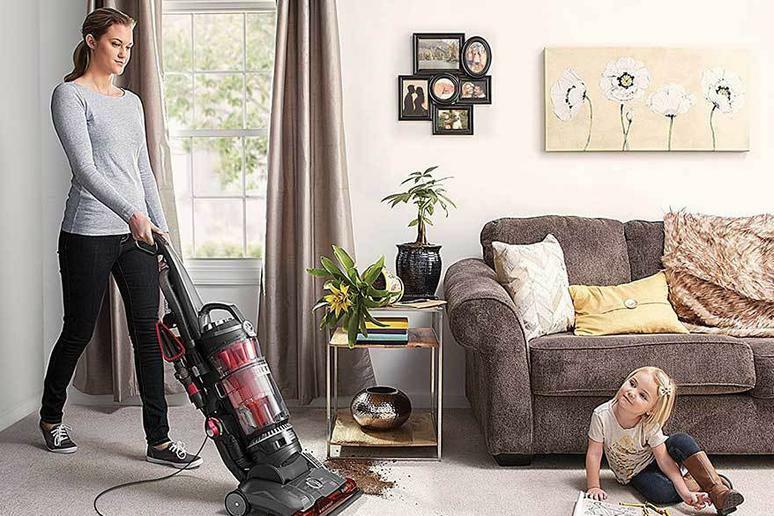 The traditional Hoover is an upright vacuum - a basic household model that usually comes with a hose attachment to clean furniture, stairs and hard to reach places. However, you may also consider some of the other styles Hoover makes. The company's canister models have a separate tank which you can roll over the floor while you clean. These are easier to use on stairs and best for smaller spaces. A handheld Hoover is very light weight and often cordless. It works best for small spills or upholstery. Hoover also makes a robot vacuum, which cleans automatically and can be controlled with an app. The least expensive Hoover vacuums are the handheld models, which start at about $60. They are usually very reliable, but not a practical choice for a large home. Canister and upright vacuum cleaners start at about $120 and can run up to $300. On the lower end you will find good basic bagless models which will still offer an extra cleaning hose and HEPA filter. On the higher end you will find extra features like self-propelled motors or self-adjusting heads. If you are in the market for a robot vacuum, expect Hoover's model to cost around $500. Q. What's the plus side to getting a vacuum that works with an app? A. Not in terms of suction. These lightweight models are usually very easy to work with and allow you the freedom to work quickly and take your Hoover to otherwise hard to reach places. However, they are not as powerful as Hoover's corded models.